Mission: To make your camping experience more comfortable and enjoyable by providing high quality and innovative camping gear with as little impact on Mother Nature as possible. Wonder why we called our company Big Agnes? The answer you receive depends on who you talk with and the mood we're in. Honestly, it's either a rocky peak in the Mt. Zirkel Wilderness Area outside Steamboat Springs, a laid back mountain town mama or dependable backcountry gear. We think it represents a little bit of each and everything in between. We've spent a lot of time in the local backcountry so we feel downright connected to it. We name our products after local history, places, peaks and rivers which is always a fun process. It brings back memories of trips both successful and epic and hopefully inspires you to come explore. From the Cross Mountain, named after a Yampa River canyon known for classic Class IV/V whitewater to the Encampment, one of the country's most scenic wilderness river runs, to more obvious names like the Divide Series, we think ours are some of the funkiest product names around. Right in our backyard, Two Track trail is where we run and ride all summer. The spring runoff around here is pretty spectacular so we couldn't resist including a couple of our favorite creeks like Sarvis, Deep, Mad and Lost Dog. Drive up Seedhouse road past Hinman park to the trailhead for Mt. Zirkel, the highest peak around, or hang a left to Mica Basin and camp by the lake or hike towards Big Agnes and over to Pomer Hoit. Given the long history of mining and exploration in the area, there are some pretty wild stories that took place far from town. Take the outlaws that narrowly escaped a posse that spotted their campfire on Horse Thief peak or the boom and bust tale which unfolded on Farwell Mountain - named after John Farwell who built an extensive but ill-fated water ditch to power his hydraulic mining operation. Along the way, we've accumulated a few good stories of our own but we'll save those for some other time. 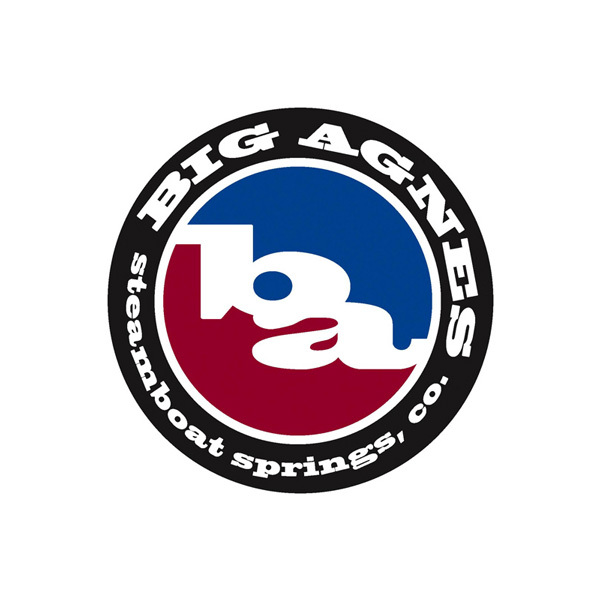 Check out the Big Agnes website.